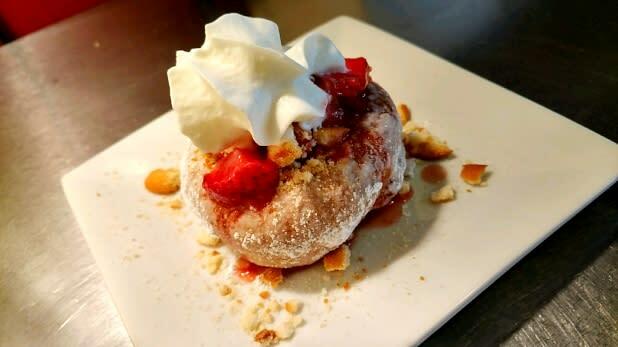 Whether you prefer your donuts filled or ring-shaped, glazed or powdered, for breakfast or as a dessert, or even whether you spell them “donuts” or “doughnuts”, one thing everyone can agree on is that these masterpieces of sweet fried dough are a delicious treat. 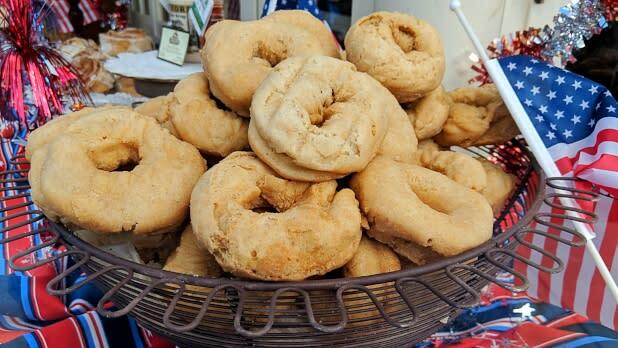 We’ve rounded up some of New York State’s finest doughy delights in honor of National Donut Day on June 1. Cider Belly’s motto “Doughnuts for the people and by the people!” means that every donut you buy will be freshly made, warm, and soft—and you don’t have to wait until summer ends to bite into a delicious cider donut. A common fixture on “best of” lists, Cider Belly serves up these fall favorites year-round and tops them with a variety of flavors including cinnamon sugar, German chocolate, and butter rum glaze. 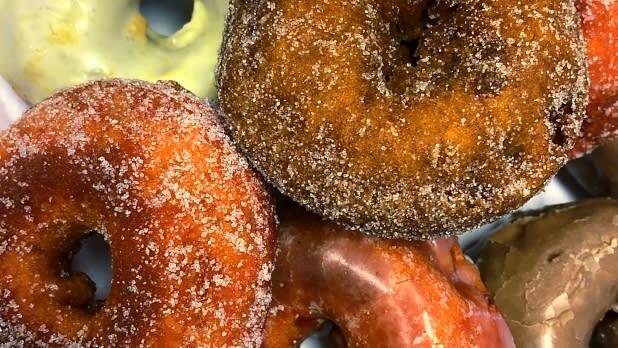 South Dayton Supermarket has been serving up donuts so good that it won WIVB’s “Buffalo’s Best Donut” contest despite being an hour-long drive south of the city. Celebrating their 50th anniversary next year, the store is famous for their apple fritter—a huge, chewy masterpiece of deep-fried dough that&apos;s crunchy on the outside and full of apple cinnamon flavor. It feels like just yesterday when a French pastry chef working in an unassuming kitchen in Soho layered laminated dough with chilled butter to create a sugary deep-fried treat that marries the flavor of a donut with the flakiness of a croissant and is filled with homemade jams and decadent ganache. 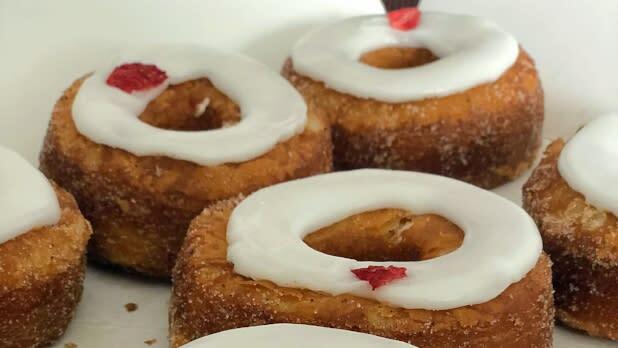 The food world went crazy for the cronut and five years later it’s a New York institution. 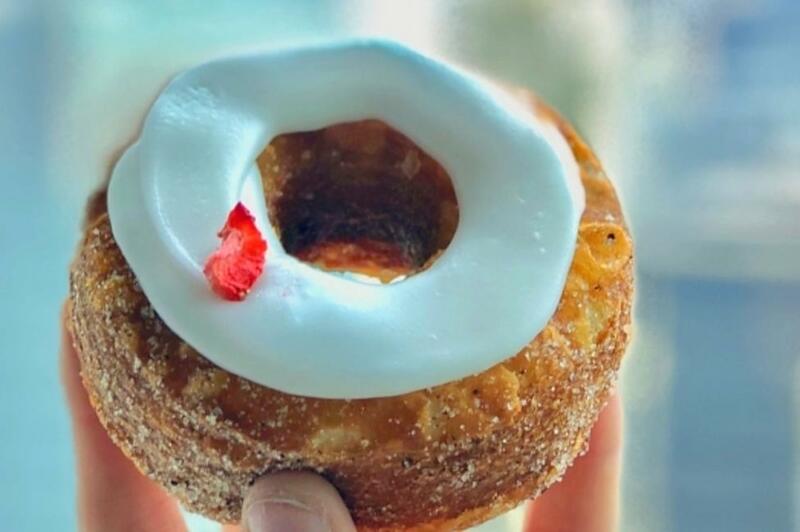 The unique flavors, like strawberry fior di latte and banana bread honey with turbinado sugar, are swapped out monthly and cronuts tend to sell out quickly each morning, so place a pre-order to ensure you get your pick. Dia:Beacon isn’t the only place in town to find works of art. Glazed Over Donuts, selected as having the “Best Donuts in the Hudson Valley” by the readers of Hudson Valley Magazine, offers custom fresh-made donuts that make you the artiste. Fill out the “decision menu” and choose from eight types of glaze, more than a dozen toppings (including options like bacon, Fruity Pebbles cereal, mini marshmallows, and peanut butter cups), and nine types of drizzles. If choosing gets too overwhelming, just go with the “donut of the day” carefully curated by the shop’s friendly staff. Each donut at this rustic cafe in trendy Tannersville is made to order, meaning your donut will be as unique as you are. Try the crowd-favorite Samoa, an ode to everyone’s favorite Girl Scout cookie, topped with caramel, chocolate sauce, and toasted coconut flakes. 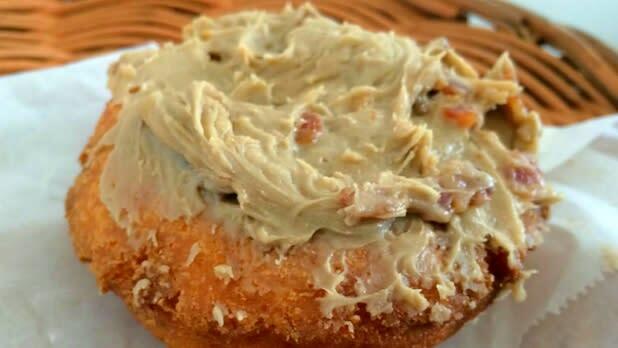 Or if you can’t decide between a sweet or savory breakfast, opt for a bacon and egg donut slider. Shop, donut...laundry? One of the best donut shops in the Adirondacks happens to share its space with a laundromat and a Native American gift and craft store. 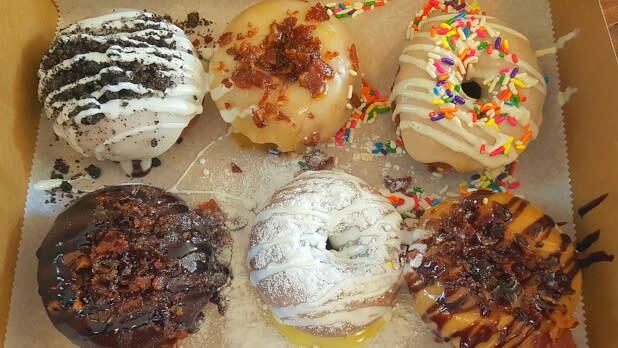 Donuts are made fresh every morning and smothered in your choice of glaze and toppings (maple and bacon on everything, please!). Loyal customers have been known to drive as far as 2.5 hours just to bring a dozen back to their Adirondack camps. 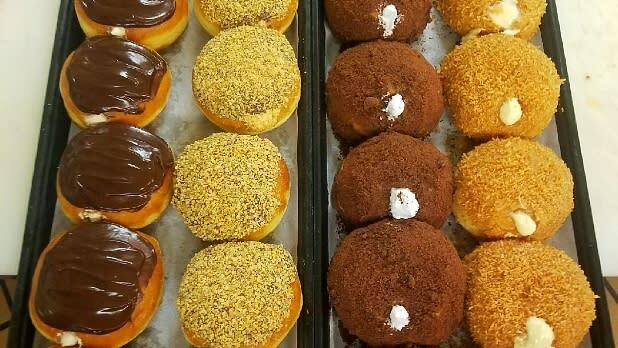 You don&apos;t have to be a baseball lover to love Cooperstown (though the Hall of Fame is the biggest game in town), and the vanilla-cream-filled donut at Schneider’s Bakery will give you just one more reason. Serving up fresh baked goods to locals and visitors alike since 1887, Schneider’s has the distinction of being one of the state’s oldest purveyors of all things dough-y. Currently leading the fan favorite vote in NewYorkUpstate.com’s poll for upstate New York’s best donut, Glazed & Confused offers small-batch artisanal donuts in a variety of funky flavors. 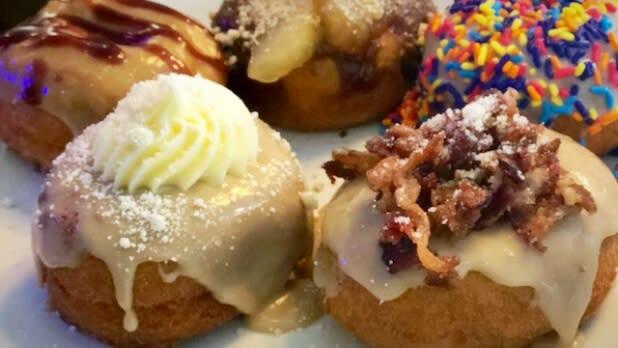 Flavors of the day are posted on the shop’s Instagram account and include fan favorites like the Dizzy Pig (maple glaze, bourbon sugar, candied locally cured bacon) and Boom Boom Berry (vanilla cake tossed in a berry-infused sugar, vanilla buttercream, and topped with a fresh fruit compote). With vegan and gluten-free options available, this is one spot that can satisfy any sweet tooth. 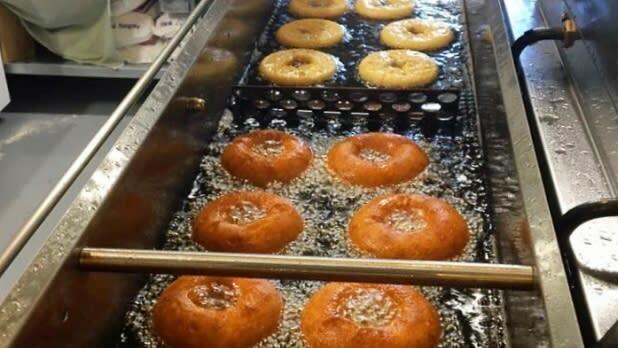 They say the best things in life are worth waiting for, and apple cider donut season is one of those things. Burrville Cider Mill is only open from Labor Day through November, but when it is its donuts are literal traffic stoppers. After you’ve had your fill of donuts, stick around for a self-guided tour of the cider press process (check the Mill’s site for times) and don’t forget your camera—there’s a waterfall view from the Mill’s deck and a hand-carved statue of Johnny Appleseed just waiting for a selfie. Anna Pakman is VP of Digital Marketing for Empire State Development / NYS Division of Tourism. She’s an avid traveler and foodie.